Note: Starting with 5.0.33 Ender Zoo has been renamed to Ender IO Zoo and is now an addon for Ender IO. You can still use the old standalone version (1.4.0.49) but it will not be updated anymore. Ender IO is a full-featured tech mod. It has armor, tools, weapons, machines, conduits, inventory management, mobs, etc. Enderminies spawn in forested or swampy areas in small groups . They are friendly little guys with a particular dislike for creepers. Despite their diminutive stature they pack a nasty punch if provoked. They will defend their nearby brethren and have a chance to teleport away when hit. On death they will drop Ender Pearls and/or Ender Fragments. Ender fragments can be combined to create an ender pearl or used in the creation of the charges. Fallen Knights have returned to recontest long lost battles. The can be found armed with either swords or bows, though have been known to prefer the sword when engaged in close range fights. Generally found in the open plains on the site of a past battles they will often be mounted on their undead steeds. The Endermen have left The End and are infecting more an more parts of Minecraft. Not only can they now be found in The Nether, they also managed to infect a small number of zombies. Be aware of the weird teleportation powers of these zombies. Ender Zoo adds an xml file that can be used to custom the spawning of any mob, vanilla or modded. Change the rate of spawning, the biomes mobs are found in or remove them completely. See SpawnConfig_Core.xml in the config/enderio folder for details. I’d love to be able to use this mod without Ender IO, as I’m making a private modpack for a friend who isn’t a fan of tech mods. Could Ender IO as a dependency possibly be removed in the future? Yes, you can add it to an existing world, but I’m fairly certain you’ll have to generate new chunks for the mobs to spawn (or retrogen to add them to already generated chunks). 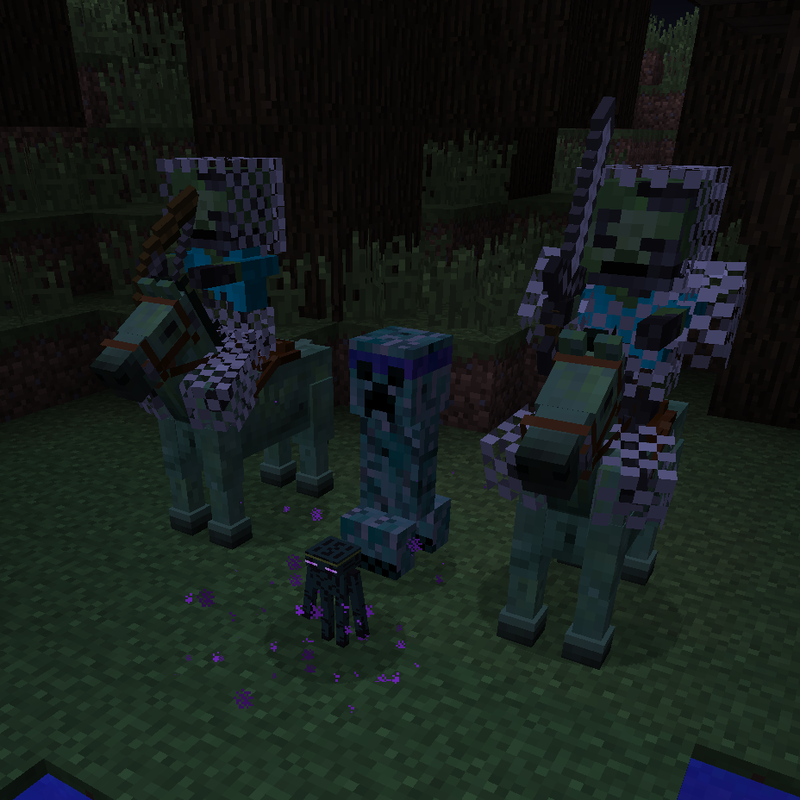 Is it possible to tame the wither cats and steal the zombie horse mounts? What is the difference between this mod and the ender zoo mobs in EmberRootZoo? You only need Ender IO Core which does not grant access to the majority of the content of Ender IO, but you can still use the old versions where there are no dependencies if you wish.